Millennials have expanded the limits of traditional workforce diversity. This new cognitive diversity goes beyond race and gender to validate each individual’s viewpoint. Successfully attracting a diverse workforce has never been more important for companies. Not only is it profitable -- a McKinsey study demonstrated that U.S. public companies with diverse executive boards have a 95% higher return on equity than non-diverse leadership -- it also fosters innovation, trust and problem-solving. And perhaps the biggest benefit: diverse organizations are better at attracting the talent they need, especially when it comes to attracting Millennials. According to the Pew Research Center, Millennials have surpassed Gen Xers as the largest demographic in the U.S. workforce. This demographic is particularly keen on workforce diversity. Forty-seven percent of Millennials actively look for diversity and inclusion when sizing up potential employers, according to a survey. What can your organization do to promote workforce diversity and inclusion for today’s workforce? Start by understanding what diversity means for Millennials. 1. Rethink diversity and inclusion. Millennials think of diversity at work differently than prior generations. “Diversity and inclusion are more than age, religion, gender, race, physical ability. It’s also about how different point of views are accepted and valued,” says Marta Steele, a career and workplace expert and partner at PeopleResults, a change and human resources consulting firm. This shifting view is also known as cognitive diversity, according to this Deloitte survey. Millennials are more likely to define diversity as a mix of experiences, identities, ideas and opinions, rather than more traditional definition of diversity, such as underrepresented racial, ethnic and gender demographics. Prior generations, namely Gen Xers and Baby Boomers, identify with the latter definition of diversity. For these older generations, diversity is about respectfully integrating people of various demographics into one workplace. Many companies are approaching their diversity strategy with Millennial expectations, creating a more collaborative environment that values open participation from people with different ideas and perspectives. “Companies are asking: ‘How do we include all perspectives, and bring everyone’s talents to bear?’ but without dropping the traditional diversity perspective,” says Robyn Tingley, founder of GlassSKY, which specializes in career advancement for women and helping employers with diversity. 3. Dig in to your existing talent acquisition data. Look to your talent pipeline metrics to assess your company’s capacity for worker diversity. “Assess where you are with diversity, and where you could be given the labor market, and use that data to identify where you’re having challenges in the process,” says Erin Thomas, U.S. diversity manager for Grant Thornton LLP. - How many are offered positions? - How many accept those roles? “Use your data to understand where the gaps are in your pipeline,” says Thomas. “Research shows we prefer people who remind us of ourselves. That can be a big problem when interviewing candidates and making hiring decisions,” says Steele. If candidates are making it through interviews but not accepting offers, it could point to a shortcoming in company culture or a negative reputation that shrouds your employer branding. “Breaking apart that lifecycle data can help you understand where to devote your time and attention,” says Thomas. 4. Fix your company culture first. Not surprisingly, a culture of trust, acceptance of differences and open communication tends to support diversity, while cultures of fear and blame tend to quash it. If your workforce diversity problem stems from your company culture, you’ll be hard-pressed to attract and retain diverse talent until they are addressed. This will make retaining new hires from underrepresented backgrounds and perspectives all the more difficult. This is especially true for Millennials, who are much more likely to be engaged in their organizations when they have an inclusive culture. 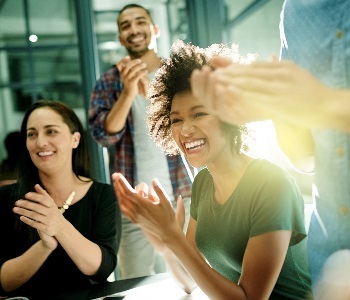 83% report being actively engaged when their organization fosters an inclusive work environment, versus 60% who report being actively engaged when their organization does not, according to Deloitte. Diverse talent, especially top talent, have a lot of opportunities and little patience for unhealthy company cultures, says Thomas. She advises companies to assess whether their culture is sufficiently inclusive and to identify what support the organization can provide to people from all walks of life, before launching a diversity recruiting campaign. “Do what you can to bridge those cultural shortcomings, before you shuttle people in,” says Thomas. Job candidates are quick to see through “spin” when it doesn’t sync with their organization’s values or what they experience on the job. Be sensitive to the messages you’re sending to candidates. What face do you use to represent your company’s recruiting efforts? “Optics matter. If all of your senior management and interviewers are Baby Boomer white males, that sends a distinct message to recruits,” says Steele. 6. Smaller companies: Take advantage of your flexibility. Millennials – a group that’s widely acknowledged to value flexibility -- constitute 43% of primary working age minorities, according to the Brookings Institute. This trend gives an advantage to smaller and mid-size companies when it comes to hiring. Another area to look in order to appeal to diverse Millennial talent is in their career paths. “Millennials don’t see moving vertically up the career ladder as the only or best option. They want career opportunities that branch out in different directions. Think less ladder; more dome-shaped monkey bars,” say Steele. 7. Benefits need to be diverse and inclusive too. Don’t overlook your employee benefits when considering how to increase diversity in your workplace. Benefits, too, need to be diverse and inclusive. “There’s not one size that fits all,” says Steele. One employee might value a three-month sabbatical to backpack through Asia, while another may want a generous paternity leave.